Use the ZBALRMB door bell and wireless switch to include your entryway in your home automation network. ZBALRMB can wirelessly communicate with other devices like our ZBALRM alarm and our multiple lighting control options to announce when someone is at your door. Battery powered, it can be wall mounted or kept portable, as a convenient remote control. 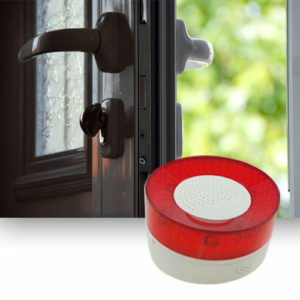 Add sound and visual alerts to your Zigbee home security with the ZBALRM Siren/Strobe Warning Device. 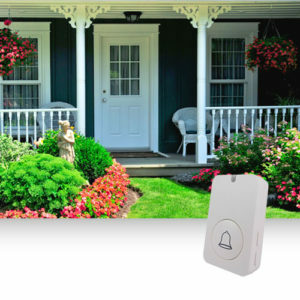 The Warning Device has four distinct alert sounds (fire alert, emergency alert, burglar alert, and doorbell) that can be activated by other Zigbee devices like our ZBMS3 3-button switch or ZBALRMB doorbell ringer. 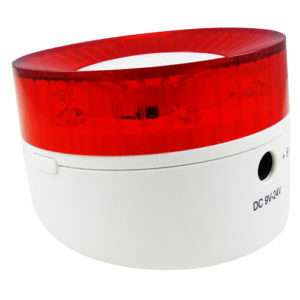 The Warning Device is powered by an AC adapter (with 3 AAA batteries for backup) and includes an anti-tamper feature. As a ZigBee device it acts as a router and helps extend the network range and robustness.